An essential hair product that will become your go-to! Carry with you throughout the day, or apply first thing in the morning. This oil absorbing blend of finely milled botanical extracts and mineral clays is formulated to cleanse, freshen and revive hair between washes. The powder form gives a softer approach, and will remove oil build up from your hair. Use between washes, or for a preventative each morning, also great for fringes and fine hair. Will blend in with all hair shades. It comes in a size perfect for traveling, or in your handbag for touch-ups. How to use: Apply to dry hair at the root using fingertips or a makeup brush. Massage through & brush out or leave in for extra volume. 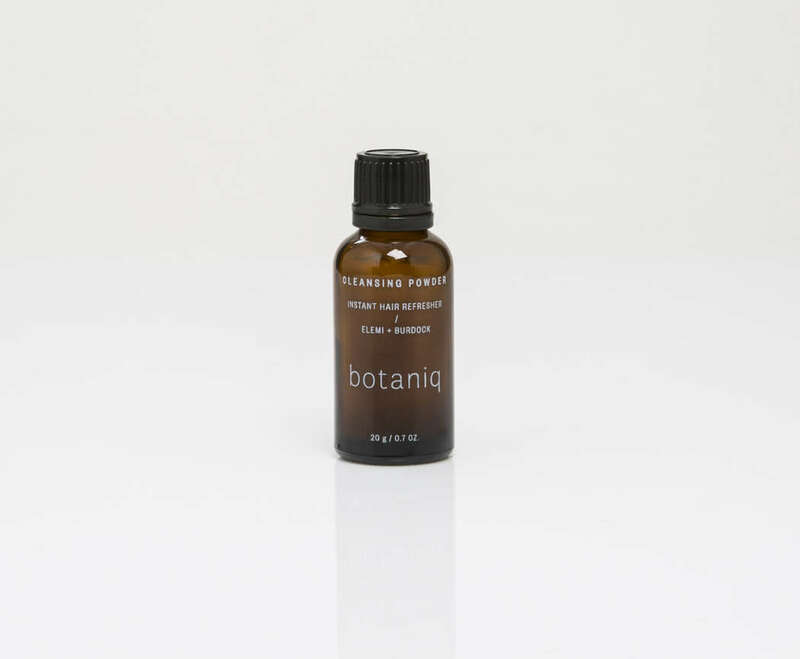 A luxurious concentrated botanical blend that offers protection from styling damage and environmental stress, smoothes frizz and restores lustre to dry or sensitised hair. Using oils to replenish and protect the hair shaft. A natural oil that does not build up, and can be used everyday. Made without petro-chemicals or silicone. 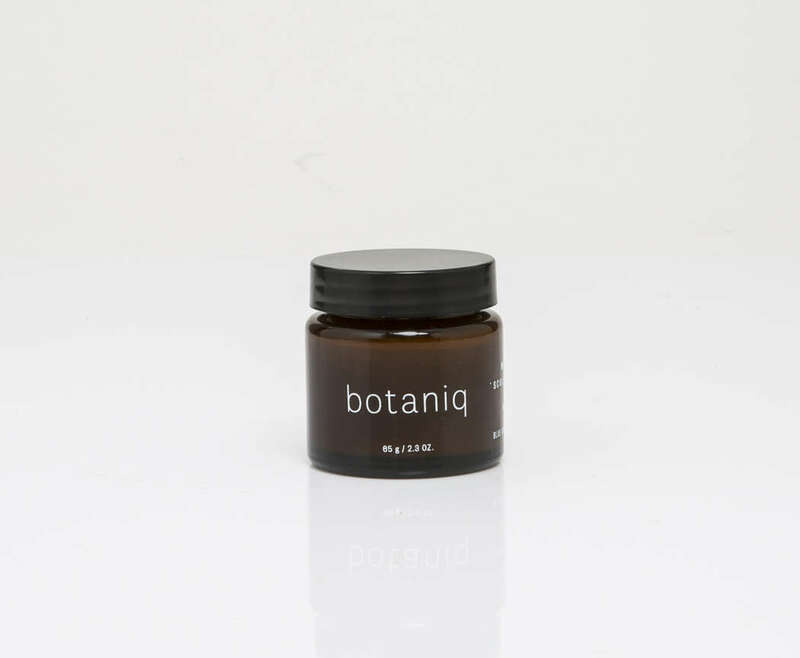 Made in New Zealand with organic and locally sourced ingredients. 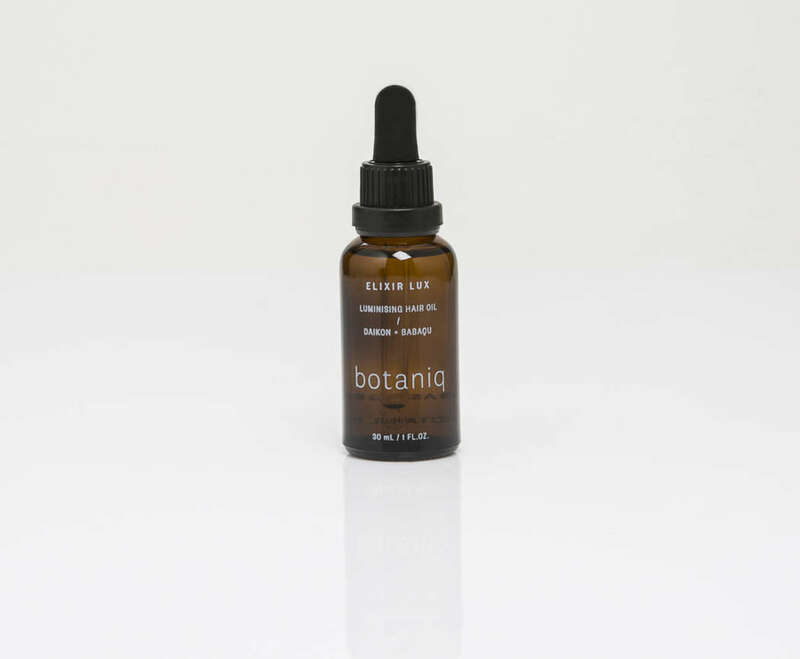 How to use: Apply 1-3 drops to damp or dry hair, avoiding roots. Perfect to use before blowdrying as a heat protectant and after for added shine. Use before swimming to protect hair from the damaging effects of chlorine and saltwater. A great product for thick, long, damaged or unruly hair. 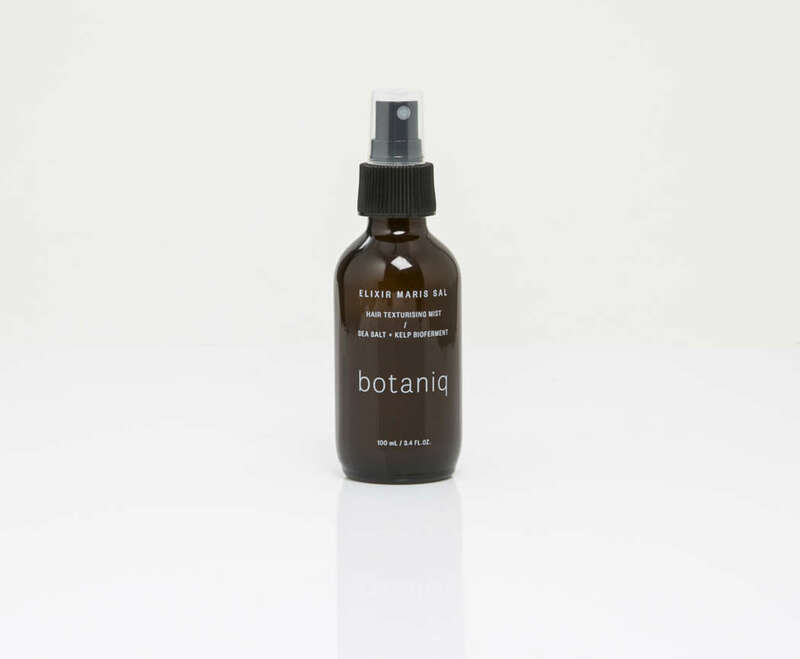 A must-have easy to use product, this lightweight unisex styling mist creates touchable, sea-swept hair. Enhances wave and boosts volume. Gives tousled texture with light hold while keeping hair hydrated and supple. 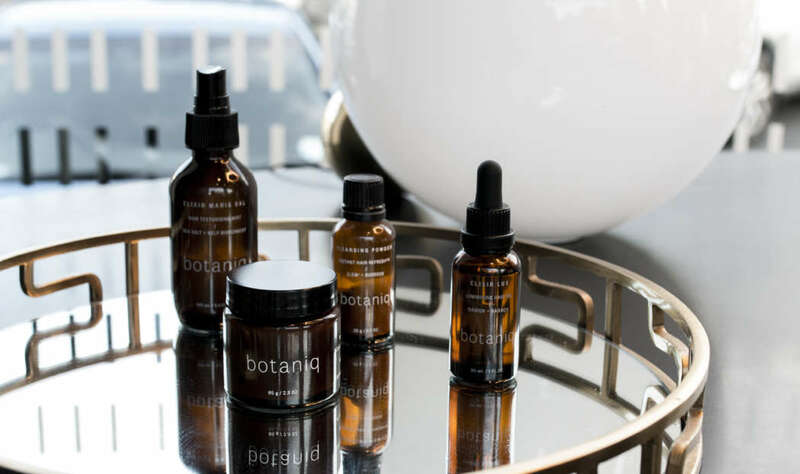 Botaniq products are made without petro-chemicals, or plastics. Made in New Zelaand, with organic and locally sourced ingredients. How to use: Mist evenly through slightly damp hair, scrunch or twist & leave to air-dry or blow-dry with a diffuser. Can also be used in dry hair for a lived-in look. A hair sculpting balm that creates lift and definition with a pliable texture. Combining nourishing botanical extracts, lipids, natural waxes and mineral clays to deliver flexible hold and a lived-in finish. How to use: Warm a small amount between fingertips and work through damp or dry hair.